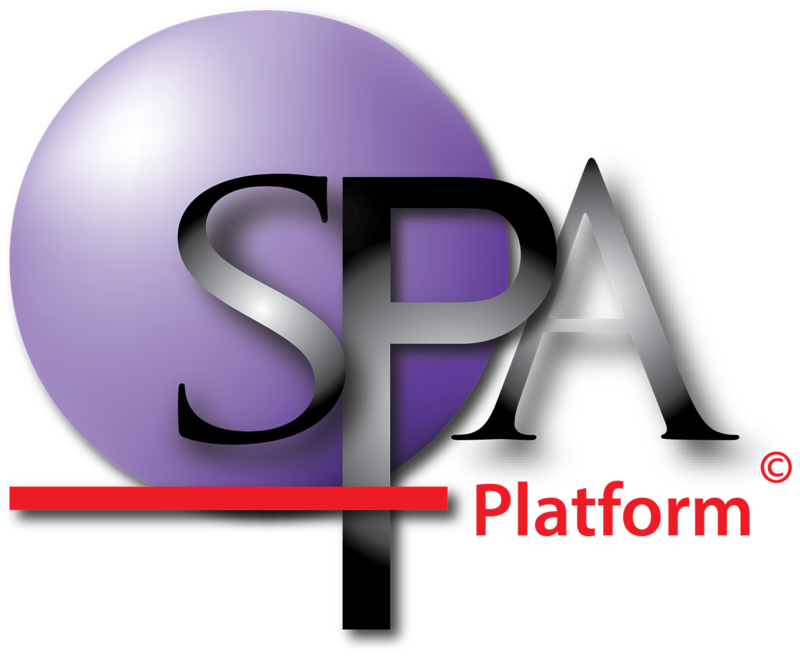 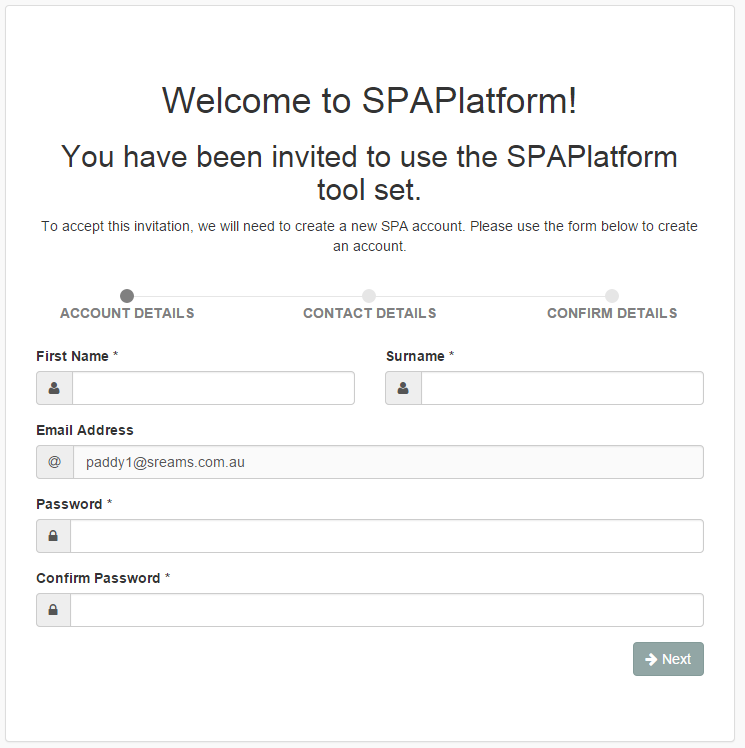 You will receive an email from SPA Platform. 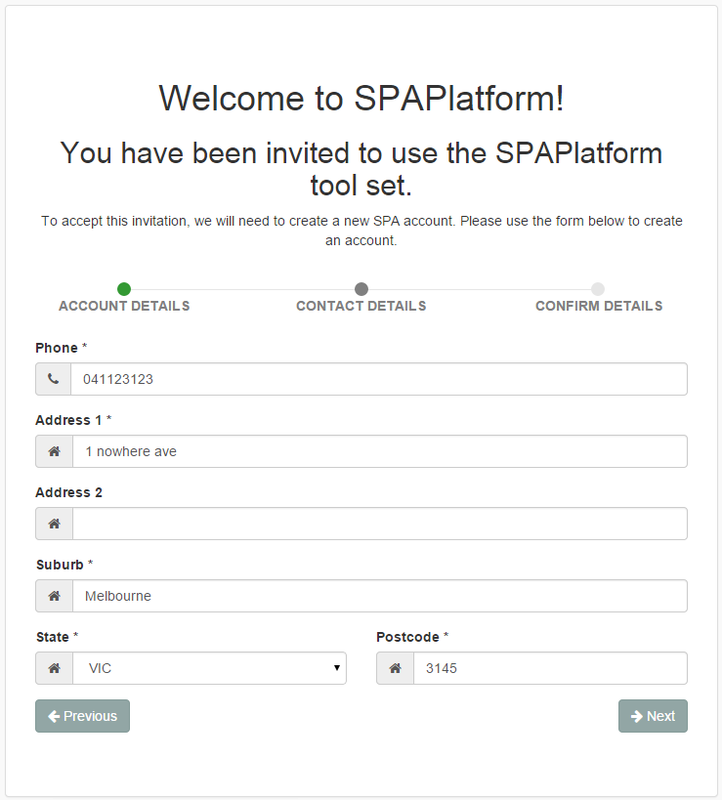 Click the 'Create Account & Accept Invitation'. 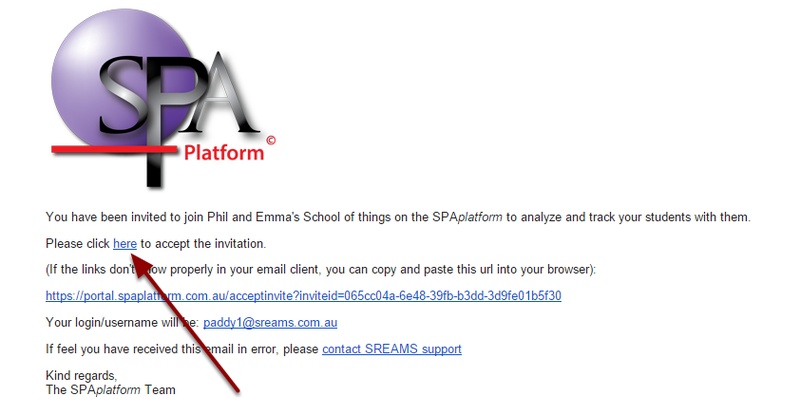 You will receive a confirmation email. 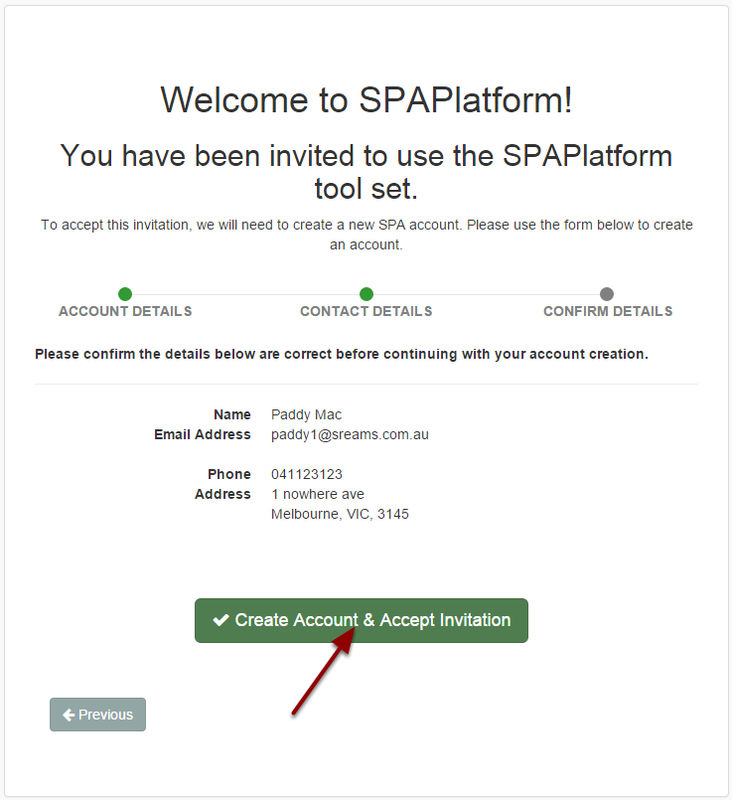 Your Invite has been accepted. 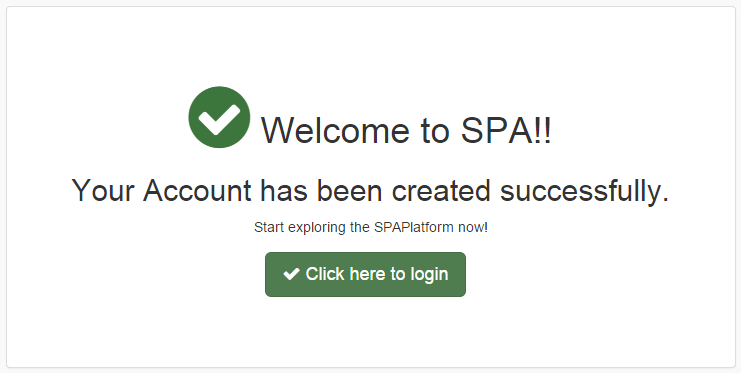 You have now successfully created your account and are now ready to log in.